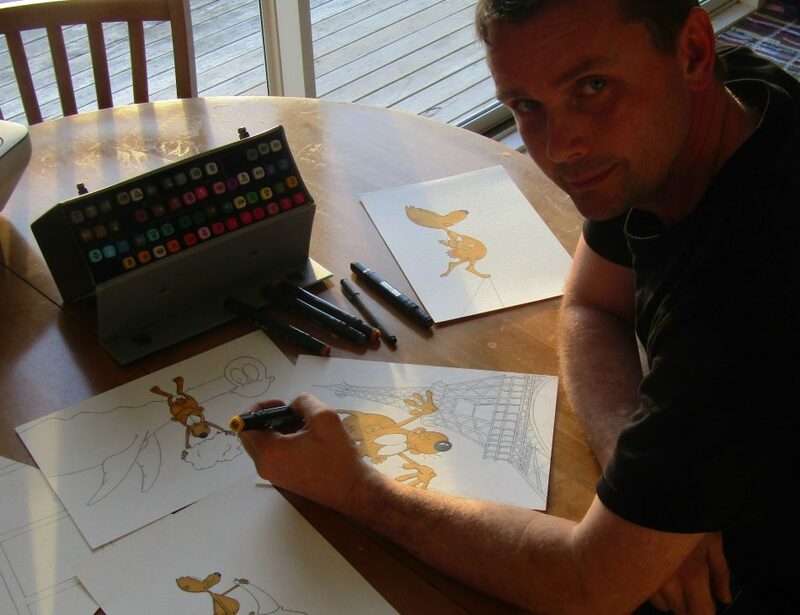 David Williams doing illustrations for the third volume in the Lempire series, Lempire’s World Tour, at his home in Ruakaka, New Zealand, July 25, 2017. Picture: David Williams. You’ll recall, I’m sure, that I reviewed the first Lempire volume (The Lempire’s Lament) right here on Vamped and called it “nothing short of genius.” Part of me worried, when I came to look at this prequel volume, that the genius behind the first book might be spread thin over a second volume (after all it is, without doubt, a novelty concept). Not to worry, the second volume is, if anything, more fun than the first. However, it would be remiss of me not to mention the glaring typo on the cover page. This is unfortunate, I did contact the author about it, and the typo will be fixed when the physical version of the book is developed. Had it been a typo in book I don’t think I’d have mentioned it here, but being that it is on the cover I feared that you, gentle reader, might have worried that I hadn’t been doing my job properly if I ignored it. The typo has not impacted the score, nor did it impact the enjoyment of the volume (and I didn’t spot any typos within the substance of the book). So, this volume is the lempire’s origin story and maps, in its Seuss-like rhyming couplets, the first few years of the lempire’s undeath. And, it seemed that the little guy (up to a point) enjoyed it—able to leap again and again with his vampiric nature preserving his undead state. There isn’t a large amount of new lore but we have the need for an exchange of blood to turn something into a vampire confirmed and we discover that the lempire himself needs only a small amount of blood nightly (after all he is only a small rodent). The volume is currently only in e-format—so the warnings around e-readers from the first review stands. The volume’s illustrations are again is bright and colourful and so you’ll want to read it on a backlit screen rather than e-ink. The illustrations themselves are, again, fun (and I can’t help but think that the title character lends himself to diversification into plush toys). It is a novelty—the sort of thing for a vampire fan with everything, but that novelty still totally works and offers a fun time that deserves a respectable 8 out of 10, again. Lempire: The Beggining! is available through Amazon on Kindle. 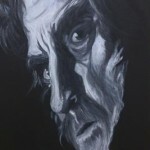 You can reach out to David on Facebook or visit his website: https://thelempire.com/. 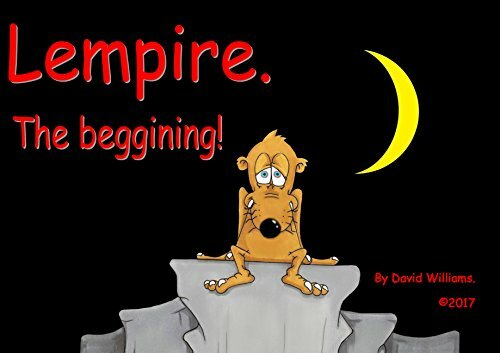 I reviewed the first Lempire volume: Andy Boylan,”‘Nothing Short of Genius’: The Sad Story of Vampire Lemming,” review of The Lempire’s Lament, by David Williams, Vamped, February 16, 2017, accessed July 23, 2017, http://vamped.org/2017/02/16/nothing-short-of-genius-the-sad-story-of-a-vampire-lemming/.